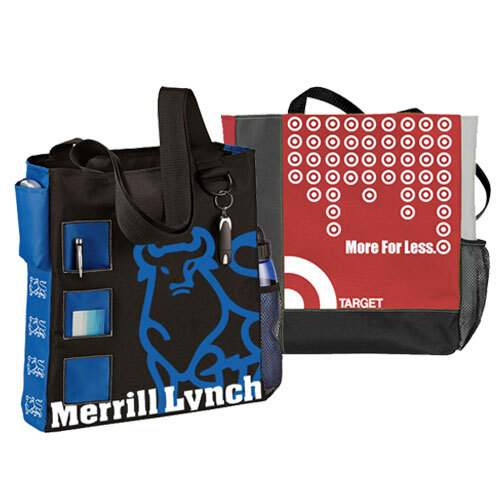 These trade show messenger tote bags are perfect for all conventions, conferences and business meetings. 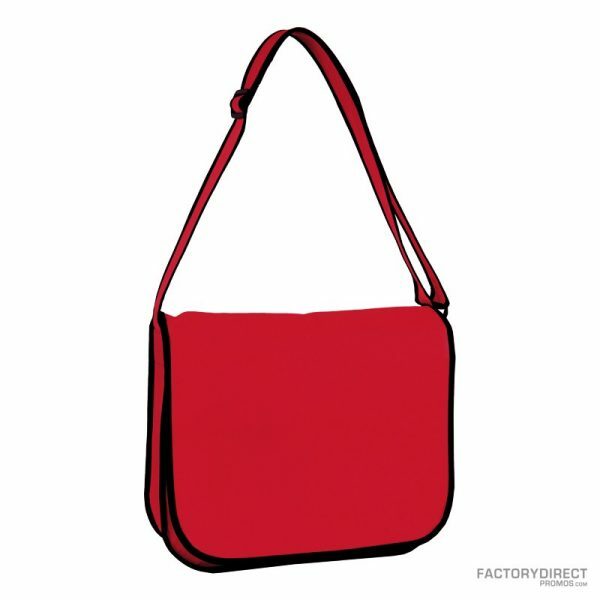 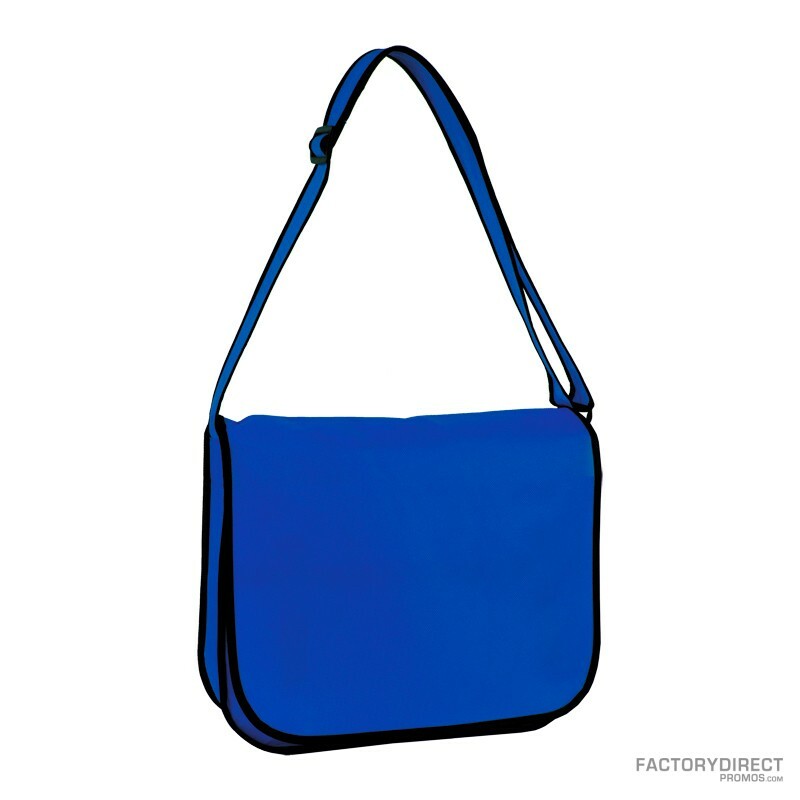 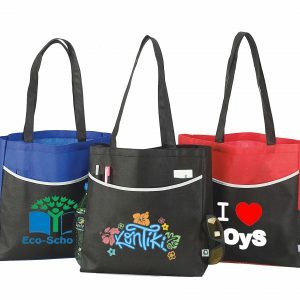 This non-woven polypropylene tote bag is made of durable, eco-friendly 80 GSM. 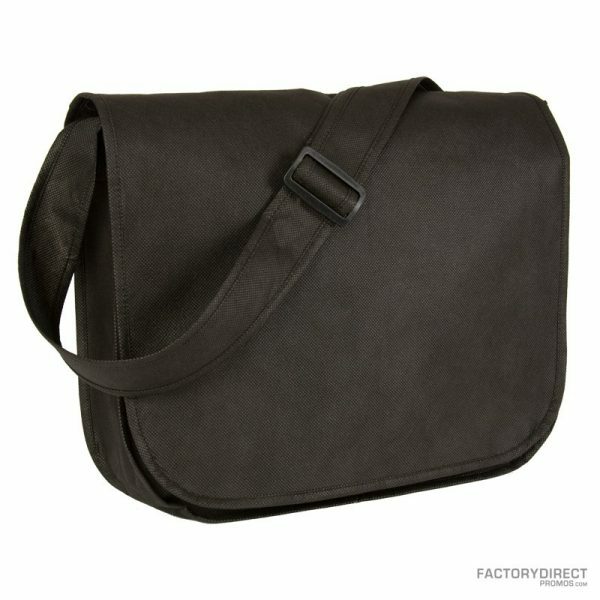 It has an easy access main compartment with Velcro flap and 4” gusset along with accent binding edge seems. 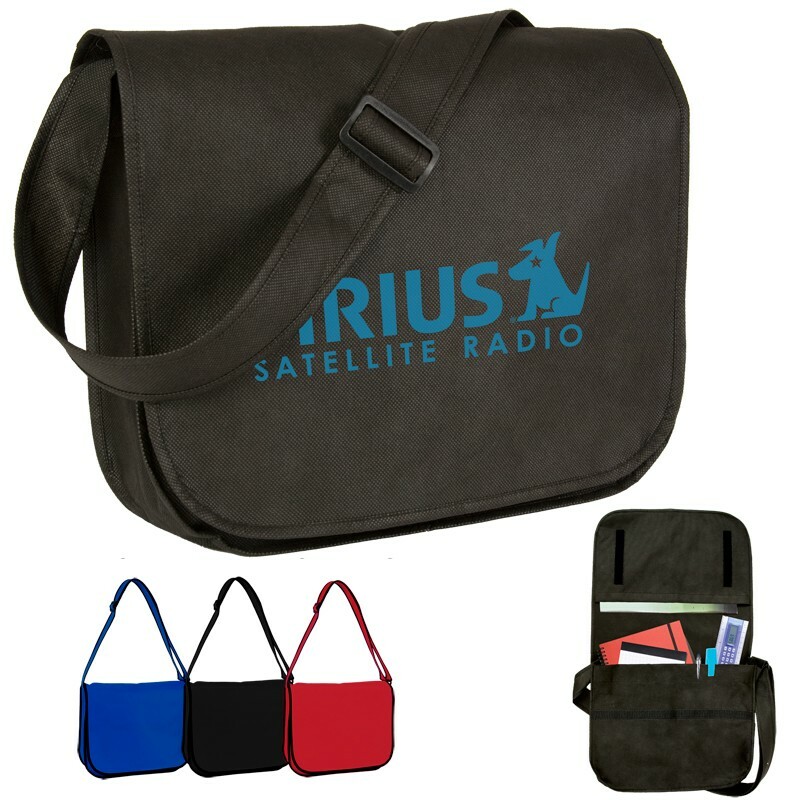 Our trade show messenger bags also come equipped with a 2” wide reinforced adjustable shoulder strap.